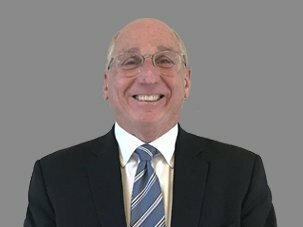 Joel M. Greenberg, Esq., is a Partner in Frier Levitt’s Healthcare practice group, working out of the Uniondale, Long Island office. He has extensive experience assisting physicians, medical groups, dentists, and other health care providers address the numerous business and legal issues that arise in their practices. Joel counsels clients in all aspects of a transaction from the initial phase of setting up an entity to establishing employment, partnership and shareholder agreements to ensuring all actions taken by the entity comply with the federal and state fraud, abuse, self-referral and professional misconduct laws and regulations. Additionally, Joel assists clients in the purchase, sale, and dissolution of their professional practices, the intricacies of the malpractice insurance world, and other business and legal issues providers encounter daily. Joel served as the managing editor of the New York Health Law Update from 1998 through 2003 and was the chairman of the Hospital and Health Law Committee of the Nassau County Bar Association from 2000 to 2002. He is also co-editor in chief of the 3rd, 4th, and 5th editions of the Legal Manual for New York Physicians, which is a collaborative publication by the New York State Bar Association and the Medical Society of the State of New York. Joel will also be serving in this capacity in connection with the upcoming 6th edition of this 2-volume treatise. Joel is an Adjunct Professor of Health Law at the State University of New York’s College at Old Westbury. “Know your Legal Obligations Before Joining an ACO”, by Joel M. Greenberg, Esq. and Claudia Hinrichsen, Esq. “Can Solo Practitioners and Small Group Practices Survive in Today’s Challenging Marketplace?”, by Joel M. Greenberg, Esq. and Claudia Hinrichsen, Esq., Medical Society of the State of New York Magazine, May 2010, Vol. 66 No. 5.